Well i’m very sad to see my beloved Cyber Lead go. So how have I been consoling myself? 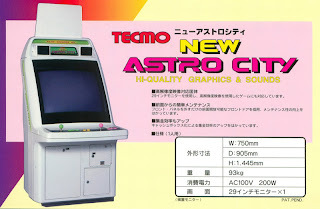 By playing Mr Driller and working on my New Astro City! The body and side art are in very nice condition. The monitor had some burn so after I picked it up a year or so ago I replaced it with a nice zero burn MS9 tube. 1. NOS PSU fitted, Part No. 400-5261Z. The original PSU failed and was replaced by a nice new one, so that’s pretty cool. My only concern is whether this will be suitable for running Cave games. 2. Jamma loom restored to factory defaults. 1. Strip down / internal clean. 2. Fit new 1L6B control panel and control looms. 3. Fit Sega 5380 lock barrel to coin box door. 4. Replace plastic coin slot with Sega 100 Yen chrome metal coin slot. 5. Fit repro marquee holder. 7. Replace faded Insert Coin 100 Yen sticker with NOS sticker. 8. Add high voltage warning sticker [440-WS0001XEG] to the coin mech door. 9. Clean, prime and re-spray yellowed speaker surround. Yellowing of the speaker surround is very common, caused by a combination of age, cigarette smoke and sunlight. 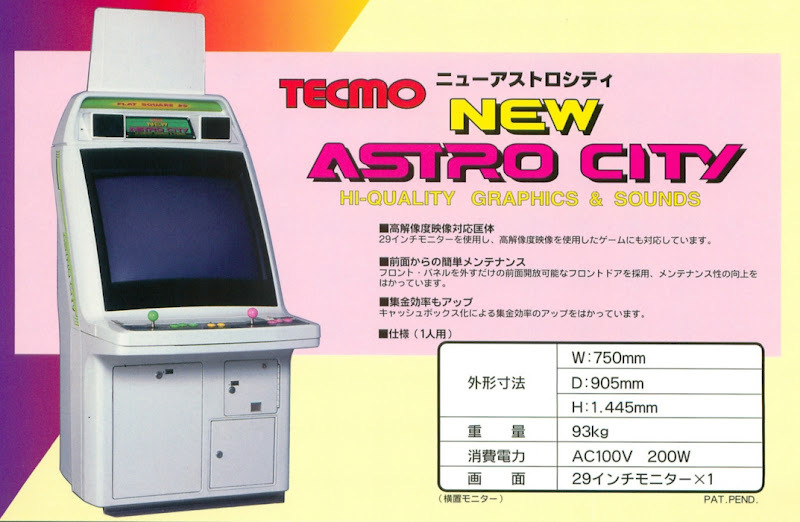 Check out these Astro’s in Try Amusment Tower, Akihabara. I’ve cleaned up the speaker surround, prepped it with plastic primer, and took it in to a local body shop to have it sprayed appliance gloss white. Very happy with the result. Here are some pics of the new 1L6B panel. The NOS 100 Yen sticker I’ll be fitting. The monitor is going to be tated and used for vertical shooters. Although I generally prefer the look of older Jamma games on smaller screens, the larger 29 inch screen is great for bullet hell / danmaku games by making bullet dodging a tad easier! Many thanks to Sir Ralph / Alienmame for this awesome cab!